South Florida is known as the premium boating state in the United States, selling many of the top selling boats right here. Since most South Florida boaters use their boats for fishing and cruising, many of the higher selling boats cater to these activities. Boats sold from the South Florida area at Marine Connection are also shipped around the world internationally. 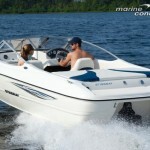 Boat owners select boats based upon whether they will be fishing or cruising near the shore or deeper out into the sea. Passenger capacity and sleeping accommodations should also be considered before evaluating the top selling boats in the area. Fishing Boats: Smaller fishing boats are plentiful, but the larger fishing boats such as the outriggers are more popular. Outriggers are popular are popular for fishing excursions in the ocean. Serious sport fishers will purchase these boats to handle the ocean waves while searching for a place to make the best catch. Cruising Boats: Cruising boats may range from the small cabin cruising boast for casual weekend boaters to the larger yachts suitable for traveling far away from the shore. The prices will vary depending upon the features offered. Perhaps you will be most intrigued by the Stingray. Marine Connection offers several new and used high-quality Stingrays. You may be interested in trying the 185 LX Bowride. This boat comes fully equipped with a 3.0L MPI (multi-port injection motor). This injection system causes for the boat to be very reliable and fuel efficient with an easy start-up. This is the perfect boat for those of you that are into water-sport activities or of you’re simply looking for a nice, cruising afternoon on the water. 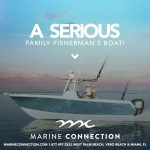 If fishing is your thing, you may want to try one of the many Glasstream boats offered at Marine Connection. 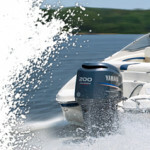 There is a great variety to choice from with full factory warranties and ameneties that will render your boating experience all that you imagine and then some. 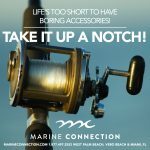 With a plethora of cruising and fishing boats currently available and new inventory added daily, Marine Connection is bound to have exactly what you require to suit your boating need. 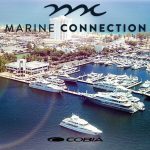 Be sure to contact Marine Connection to find out more about top selling boat of your choice today!